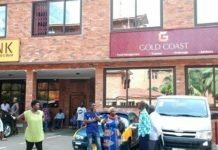 Republic Bank Ghana, a subsidiary of Republic Financial Holdings limited, has hinted that the bank is gradually becoming a leader in transfer services including International trade services and money transfer services due to its significant improvement in that area of service. This was made known by the Managing Director of the Bank, Anthony Jordan during the commissioning of the new Kasoa branch. 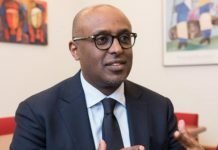 According to the Managing Director, the Bank restructured its International Trade Service and Remittance Department in 2018 to become more business driven. “The Department is more customer-focused and their turnaround times for inward and outward transfers have improved significantly. The improvement in the Foreign Trade Services of the Bank is a contributory factor for the Bank’s increase in Fees and Commission income of 34% in our 2018 financial year”, he said. He also added that the Bank is now a Partner to two Major Telcos in Ghana, therefore; Republic Bank has the opportunity to extend products and services to over 85% of mobile phone users in Ghana through the mobile money platform. 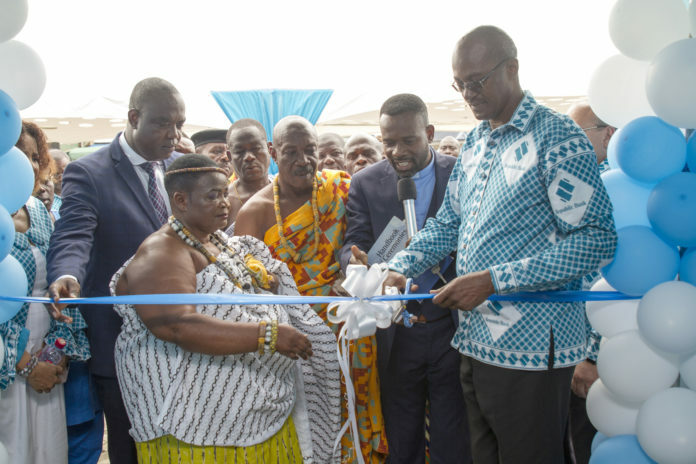 The commissioning of the Kasoa Branch came following the relocation of the branch to a new building on the same Kasoa Bawjiase Road. According to the Mr. Jordan, the new outlook of the Branch is a representation of the Republic Bank brand and the future. He said: “Republic Bank Ghana is rising towards a new horizon; a new standard of Banking where our customers have control, speed and convenience. That is why we are investing in our branch look and feel while improving on our services”. The branch commissioning was attended by Nana Otu Gyan- Queen Mother of Gomoa Aseibu, Nai Awushie Tetteh, Chief of Ofaakor, Hon. Kojo Asemanyi – MP Gomoa East Constituency, Hon. 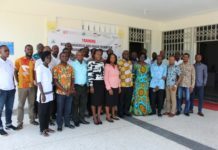 Michael Essuman Mensah – Municipal Chief Executive (Awutu Senya East Municipal and representatives of Member of Parliament for Awutu Senya East Constituency, Hon. Mavis Hawa Koomson.